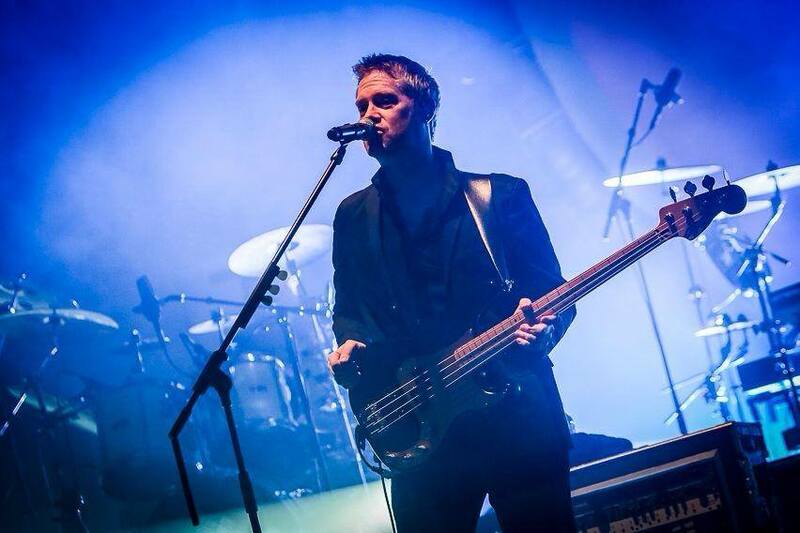 As a touring member of Brit Floyd and other bands, Ian has performed in over 1000 shows in over 40 countries around the world. Drawing from a diverse background of classical and jazz training, along with over 30 years of rock, progressive rock, funk, and pop experience, he excels at producing a wide variety of sounds and styles. His vocal range and ability to sing both as Roger Waters and as David Gilmour has been lauded by critics and fans across the globe and is a vital part of the authenticity for which Brit Floyd is known. Ian studied bass and trumpet at the Fredonia School of Music. Concert highlights include The Royal Albert Hall in London, Red Rocks Amphitheater, The Fillmore West in San Francisco, and The Greek Theatre in Los Angeles, Carnegie Hall, as well as tagging a featured vocalist gig in a Symphonic Pink Floyd concert with the Virginia Symphony. NOV 14th - We have a couple of well deserved days off in Katowice Poland before our gig just down the road in Zabrze tomorrow. I've managed to fight off a cold. The timing couldn't have been better. 8 shows to go in Poland, Latvia, Lithuania, Russia, Finland, and Belarus. Then back to the States for some R&R from touring. I love the road, but it's good to be home after 10 weeks away. NOV 8th - All shows in Italy sold out! They took a page out of Norway's playbook and filled every seat in the house for Milan, Padova, and Florence! Also, I just want to say that King Crimson occupied the very same stage in Milan the two nights following our show there. Missed it again! NOV 3rd - A couple of big highlights since my last post. We returned to the Heineken Music Hall in Amsterdam where we shot our latest DVD last year. 4 thousand of you turned out for this show. You can see my vocal mic on the right. Also, in Oostende, Belgium, my good friend and amazing photographer Sandra Jackson brought her camera and took some beautiful shots of the concert. I'll post some pics later. OCT 19th - After gigs in Germany, Denmark, and Sweden, we're back in Norway! Did I say I love Norway? We've had great turnouts throughout this tour, but the gigs up north have been packed to the rafters! Stick Men!!! - LEFT: Markus Reuter, myself, and Pat Mastelotto. RIGHT: The one and only, my hero, Tony Levin and little old me! OCT 11th - Thank you Portugal, Spain, France and England. Thank you to all of you Londoners (and beyond) that came to the show at the Albert Hall. I'm always in awe of that place. Now back to France then Germany. SEPT 22nd - Harstad, Norway. What a beautiful place. No northern lights so far. Last year they were spectacular. We just need the sun to burp in our direction while we are here. Tomorrow, the tour begins. SEPT 14th - I'm currently on a break after Brit Floyd's North American tour that spanned 80 shows, 40 states, and 5 provinces over 13 weeks. I'm using the time to work on my upcoming solo album to be released in 2017. I'll be back on the road in late September with Brit Floyd for the European tour. See the dates below. First off, I'd like to introduce you to the Chapman Stick™ by Stick Enterprises. I've been in love with this instrument since I first heard Tony Levin on Peter Gabriel Plays Live and on Discipline by King Crimson. I'm using my Stick with Brit Floyd as Mr. Levin recorded several tracks on A Momentary Lapse of Reason and used the Stick on One Slip and Yet Another Movie which are currently in our repertoire. The Stick is a tapping instrument, and has half of the strings dedicated to the bass range and the other for guitar. It produces a unique percussive sound on the bass side and a sweet ethereal sound on the guitar side. The model I'm using, the Railboard™, is an aluminum 10 string version. It's solid as a rock, keeps its tuning very well, and is stable even going from hot and humid Puerto Rico to Vancouver. Thank you Emmett Chapman for all your help. If you're ever in NYC, head down to the Bass Lounge in Sam Ash on 34th St. and say hello to Larry Hartke for me. He knows everyone in the business and always has a great story to tell. For effects I use an FX8 by Fractal Audio. I can't say enough about this unit. I've had gigs where I didn't need much of any effects, others where I've strung together loads of pedals, and others where I used a multi-FX unit. Pedals are great, but not very flexible and require some tap dancing skills without a switching unit. Fractal has made the first muli-FX pedalboard I've ever seen that gives me the clarity and transparency of my favorite pedals while giving me the flexibility to accommodate 3 basses (any one of which I might play with a pick or not) and a Chapman Stick™ (with independent simultaneous guitar and bass effects), all with custom level and EQ settings. My Sound engineer loves it, I love it, and with the Mac/PC editor, it's a breeze to create sounds. 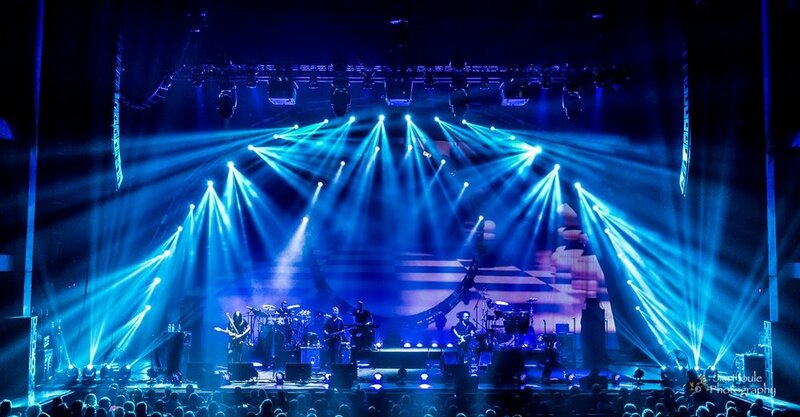 The most FX heavy tune I play with Brit Floyd is One Of These Days. Have a listen on the Media page (coming soon).